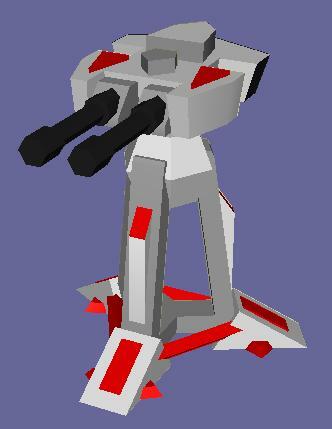 Got the machine gun version of this done today, and I will get the missile version doen shortly. Very formidably japanese defense structure; ability to switch between anti-ground and anti-air modes, and it's nanocore nature gives it the ability to be deployed anywhere. 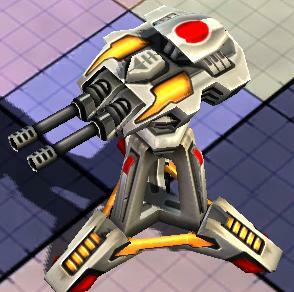 Compare that nanocore to the tower and tank beside it. the red you see is not suppose to be remap, if thats what your talking about. Just some colour to add to the structure. They all have relativly the same polycount. 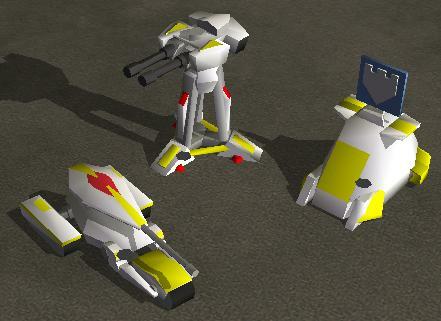 The difference is that the turret is more angular and the tank/core is more rounded, so more polies get dedicated to something that isn't poly efficent. Yeah, but poly account amounts to little ingame, where you can't tell anyways. What you do see ingame, is what matters. would be preferred over being consistent with a technical detail that few end users will know/care about. My reference to the polycount is that I put roughly the same amount of effort in. 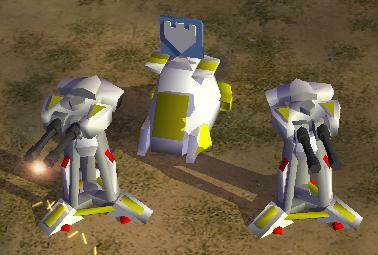 Is it me or does the Defender's symbol look...like the top of a castle's turret/tower/whatever you call it? I remember it being a straight line in the center.